This week we celebrated iPhone’s 11th anniversary. The device that changed everything and blew everyone’s mind. Steve Jobs rightly said, “Every once in a while, a revolutionary product comes along that changes everything.” The product in question is one that had an iPod + Phone and an Internet Communicator in it. It was named the iPhone. The first smartphone without keys that worked on multi touch functionality. No one else apart from Steve Jobs could even think about taking such a huge leap. It was only his charisma that brought something new to the world of phones. Unseen and yet such a huge success at its launch, the revolutionary mobile phone was the result of years of hard work. What people do not know, was that, there wasn’t a single device that was used at the launch of the product. In fact, multiple devices were used that were switched at random intervals with sleight of hands. The timing, script and coordination between Jobs and the projectionist was so perfect, that until finally, the information was released after ages, we would not have known about it. This was all done to hide the drawbacks in the device, for if any of that would have been seen by the public on that day, the product would have been declared a failure rather than a success story. We would not have witnessed the legacy that Steve Jobs created on that day! iPhone was not the first smartphone. Prior to it, there were many smartphones which were popular, smarter and widely used. But, they were bulky and using them was a bit difficult. This made Steve Jobs think about a new device, which would be a league apart and much smarter than others, while also super easy to use. He named it the iPhone and said Apple will reinvent the phone with an innovative User Interface. When the question of its need arose, he explained it by saying, that the problem doesn’t lie with the devices. It was with the keyboard on them. 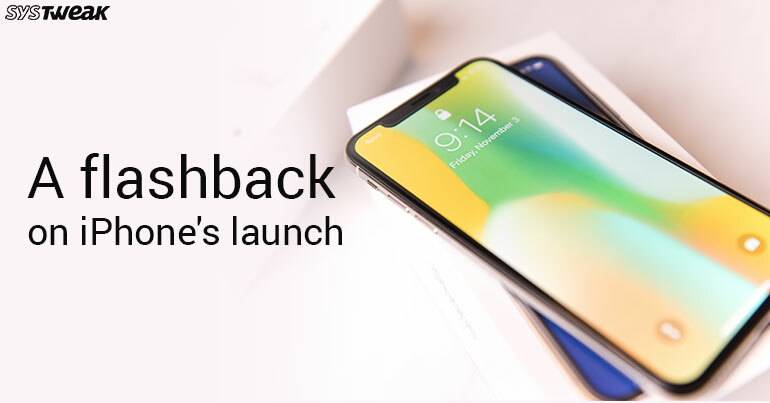 He further stated that, for example, if after a while one wanted to add a new feature, they would have to add a new button, this would make device bulkier and not easy to use. So, to solve this problem, he created a device that would be more accurate, easy to use but would still have no keyboard. What it would have, is a multi-touch and larger display screen. This would go on to be a revolutionary UI upon which a Software was built. One that would be a breakthrough, 5 years ahead in technology of any other phone. It offered multi-tasking, best networking, power management, security, right apps and everything one needed from coco, graphics, core animation, audio, video. Everything one would hope to look for in a phone. Another trivia that trickled out over time, was that the engineers behind the product, were so nervous at the time of the launch that, while they were sitting behind the screen, they kept at hand a bottle of scotch whisky. Once, a segment on which they had worked or were responsible for ended, they would crack open the bottle and take a drink, By the time the launch ended, and Steve Jobs stepped off the podium, they were smashed! How’s that for insider news?